When I moved into my new apartment on the beachfront I was overjoyed and immediately knew I had to get a comfy chair to put on my balcony so I could enjoy my new view. 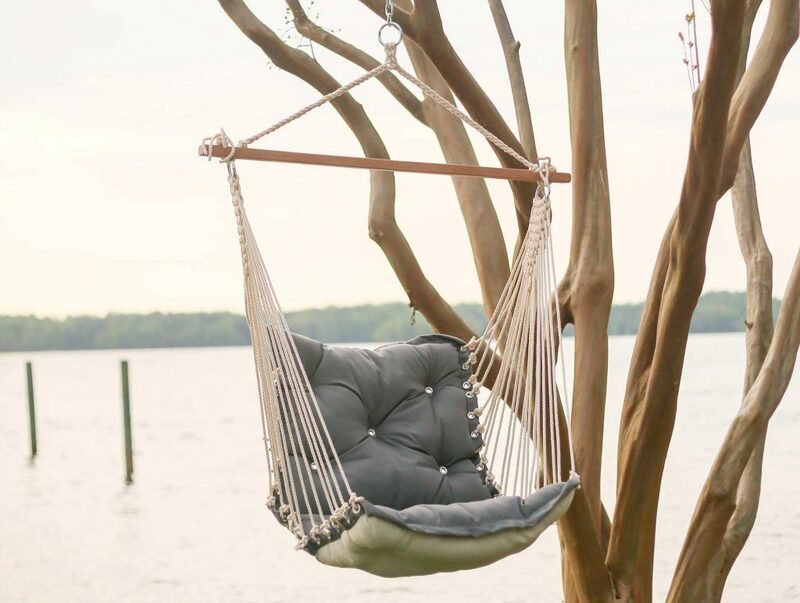 When I went online to shop I was a little overwhelmed by the variety, but after browsing for a while I finally settled on the Tufted Hammock Chair made by Hatteras Hammocks. And I’m so glad that I did! 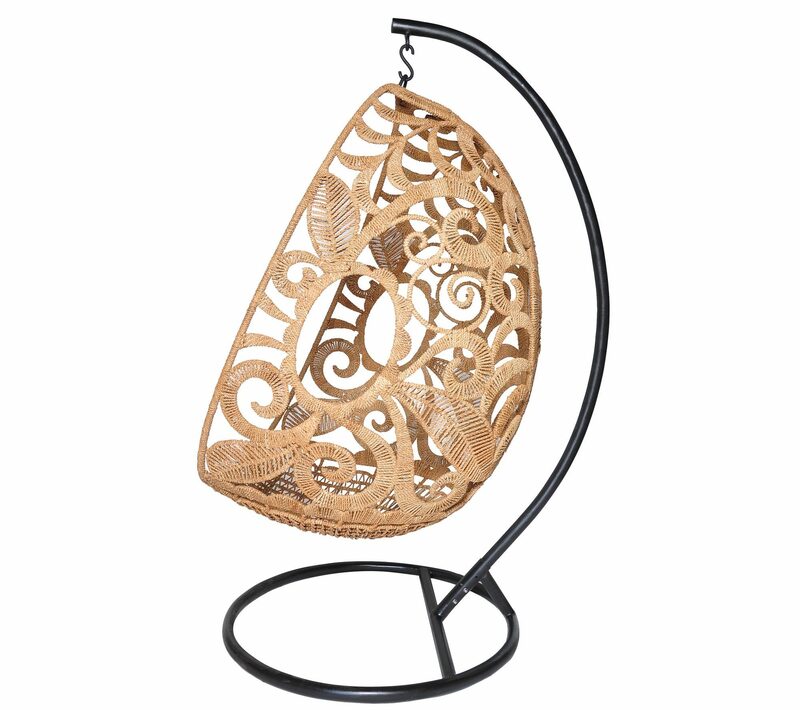 One of the reasons I chose this chair over the others was because I wanted a hammock chair to hang it outside and I knew with the sun and salty air I was going to need something that was not only comfortable but also durable. I’ve had my chair set up outside now for a few weeks and I’m very impressed so far. My chair measures 40 inches in length and the seat is 24 inches – more than enough room for lazy lounging. It can carry up to a maximum of 300lbs / 136kg. I was surprised at just how good the chair looked on the balcony. The light cumaru-wood spreader (cumaru-wood is known to be one of the hardest woods in the world with excellent durability and weathering properties) combined with the white and canvas charcoal color scheme makes it blend in perfectly with the ocean side background. The backside of the cushion is a solid tan color. The design is space efficient and it was easy to assemble and hang. I love the fabric that Hatteras used for the cushion; it’s called Sunbrella, designed for outdoor use. The material is resistant to fading, staining, and mildew and that gives me peace of mind that the chair won’t be ruined outside. The fabric is also soft, almost like cotton; most unusual for outdoor furniture. Honestly, when I recline in my chair in the evenings it feels like the pillow comes in to cradle me; nothing has ever felt so good! The hardware and chains are zinc plated; meaning they are durable and resistant to rust; good news for my chair considering the sea salt spray it’s exposed it. 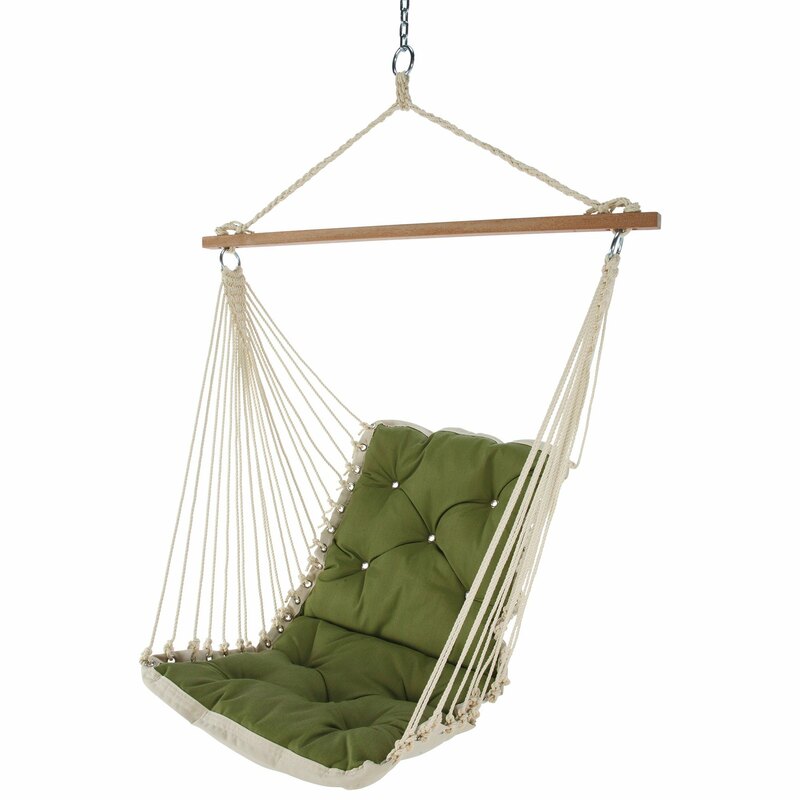 Durability: The top pro of this list is definitely the durability of the Tufted Hammock Chair. All the materials used to make this chair have been chosen for their weatherproof properties, making it the perfect outdoor hammock chair. 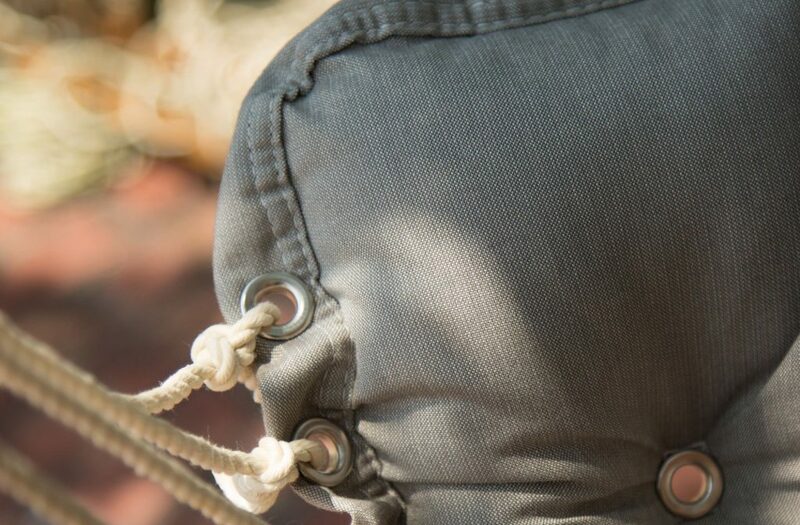 Like the Sunbrella material, the hanging ropes are made from Duracord which will also stand up well to the elements. I like to know when I buy something that it will last me for years, and I know this chair is going to do just that. 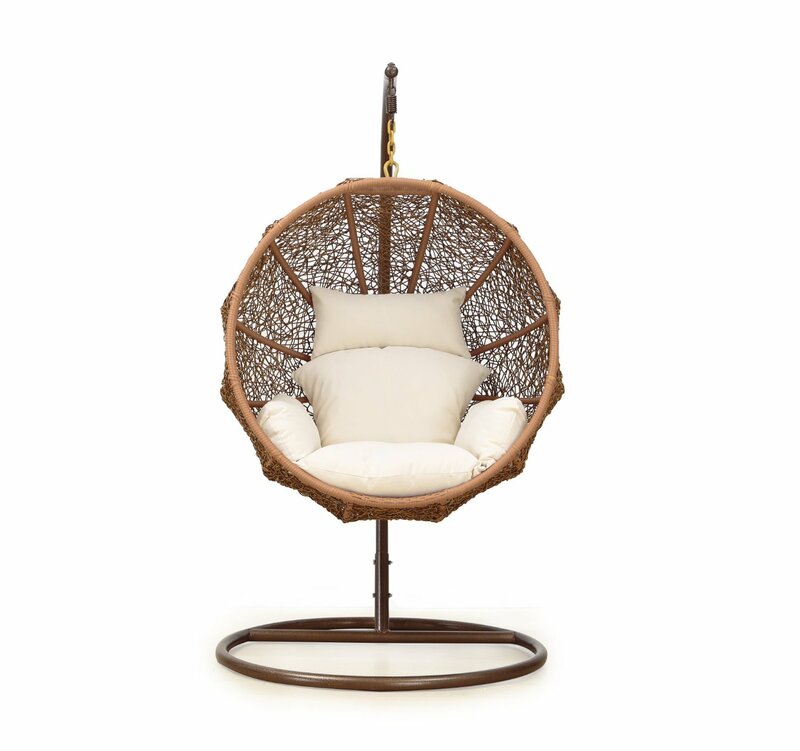 Size: This chair is just the right size for lounging but still compact enough for tighter spaces. I looked at bigger chairs, but they would have been oversized for my outdoor area. Comfort: The cushion is really comfortable – inside the layers of Sunbrella fabric it has a strong polyester hollow fiber filling and measures a generous 2 foot wide. I was a little disappointed that there was no foot rest on this chair as many hammock chairs have footrests and it makes them even more luxurious. However, it is roomy enough that I can sit with my legs tucked up to the side. Hatteras Hammocks are leaders in the hammock industry. 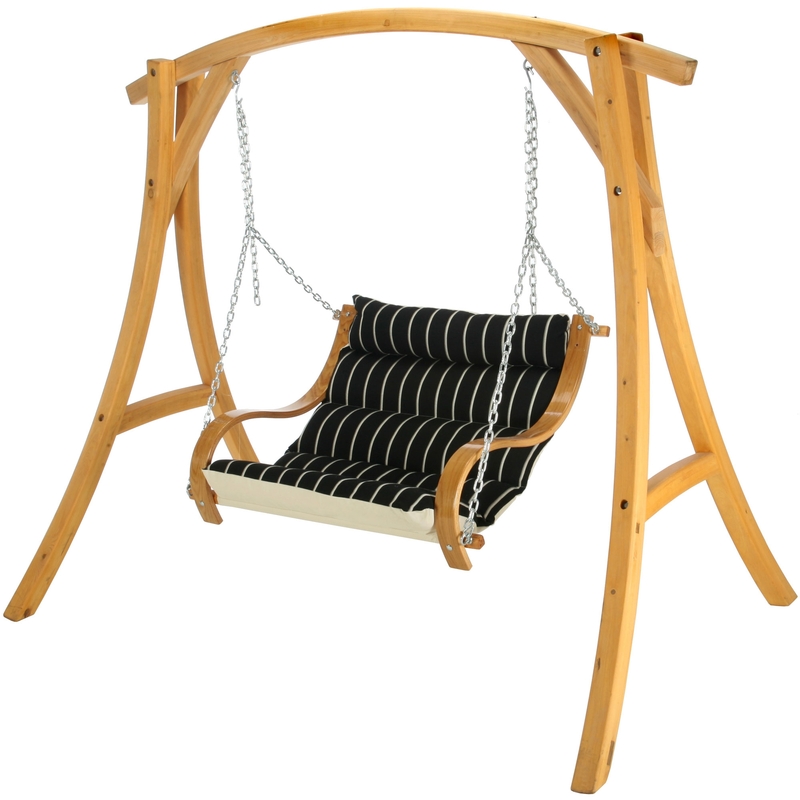 This US based company has been manufacturing hammocks and hammock products for over 4 decades. They have a unique approach when it comes to making their products; using a blend of both hand-crafting and modern manufacturing processes. They are always looking to improve their range and pride themselves on their innovation. For me, the Hatteras Tufted Hammock Chair has absolutely made my new home. I cannot wait to get home every afternoon to spend an hour or two just rocking gently in my chair admiring the view. And for the peace of mind and relaxation it brings me it was worth every cent (and probably more). My friends can’t stop admiring my chair and they all want to sit in it when they come over. It looks handsome and blends in beautifully plus it’s durable – and there’s nothing better than getting a good quality product at a good price. I love knowing that I won’t need to replace it for many years to come. I’m really pleased that I chose this chair; it is just perfect for me. The chair is available in different colors.